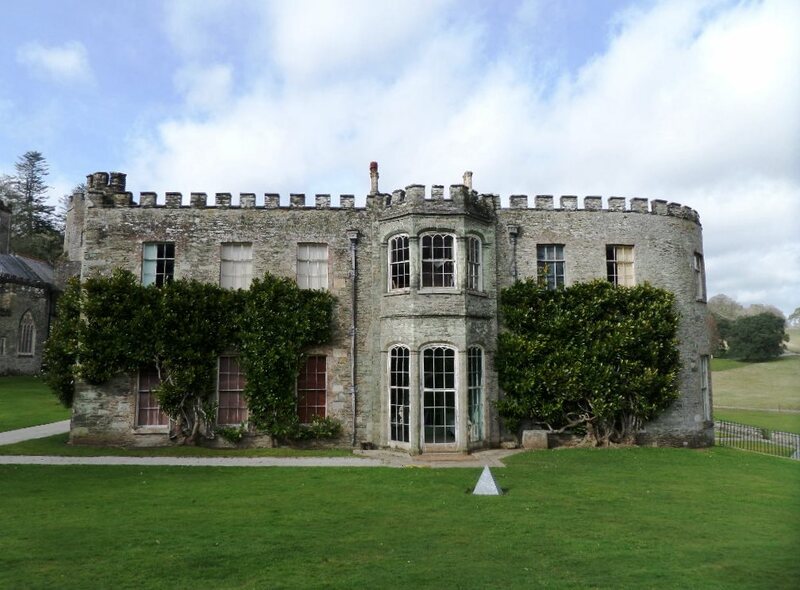 Port Eliot House is a Grade I listed building, the castellated parapet of its 18th century conservatory bay addition was showing signs of movement. 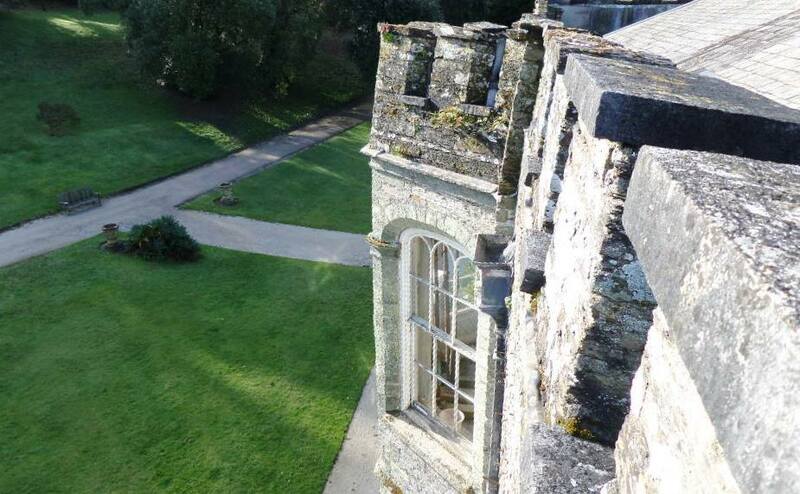 The stone masonry parapet is built off the edge of the lead lined flat roof which was decaying. 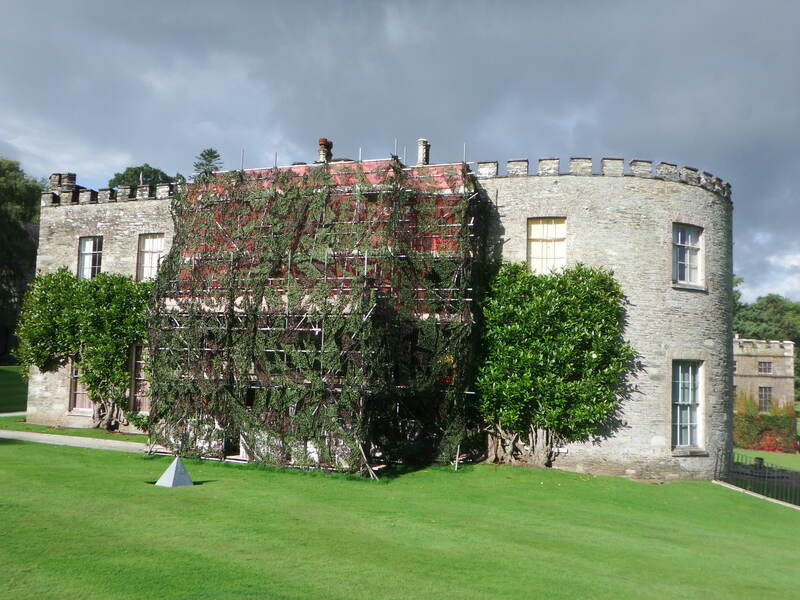 Protective scaffolding was erected and works to take down and rebuild the castellated parapet could begin. 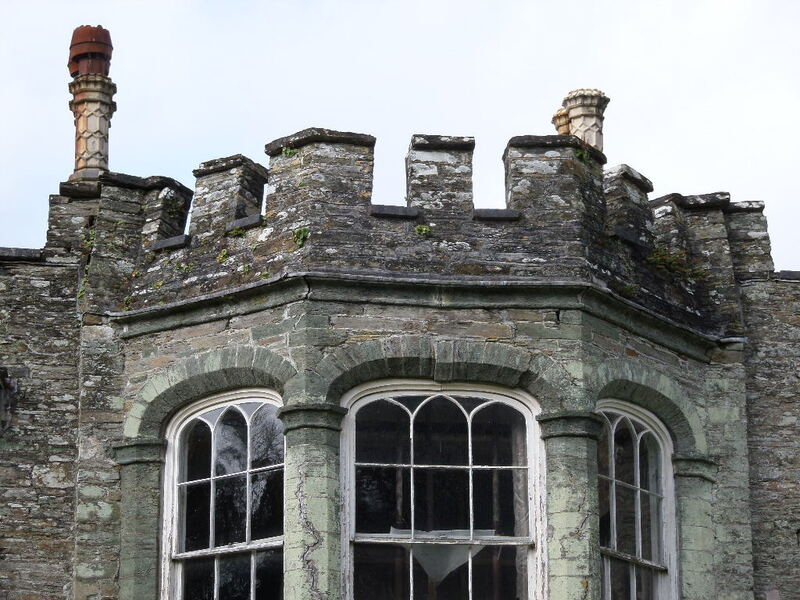 The parapet needed to be taken down carefully and positions of coping stones recorded, as to rebuild the parapet accurately. 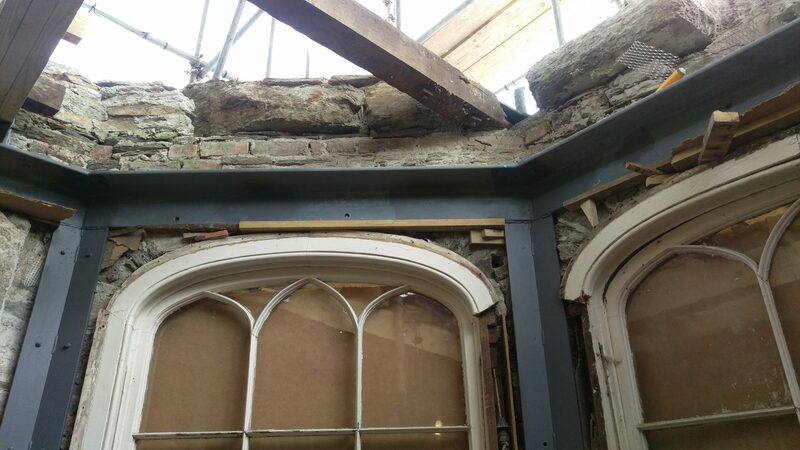 Internally, supporting and strengthening steelwork was built into the existing masonry mullions and arched lintels. 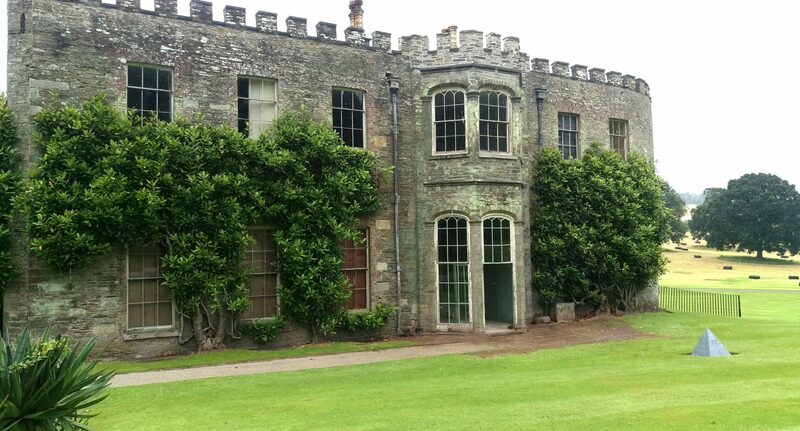 Internal finishes including covings and window boards were replaced. 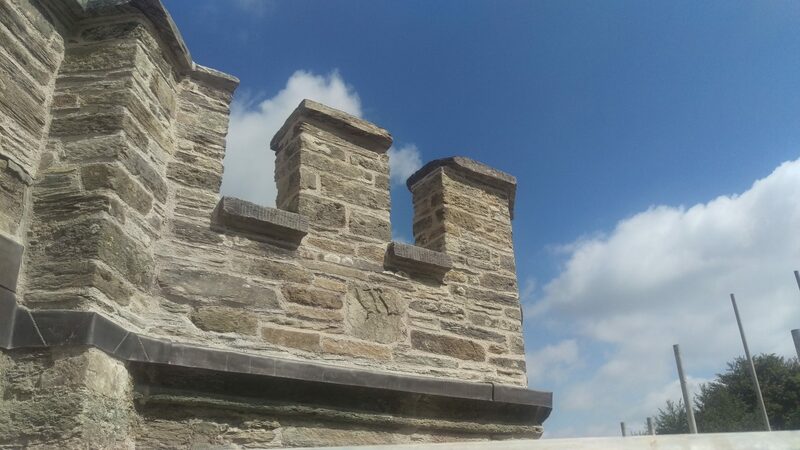 The flat roof was replaced with new roofing timbers and new lead work installed. 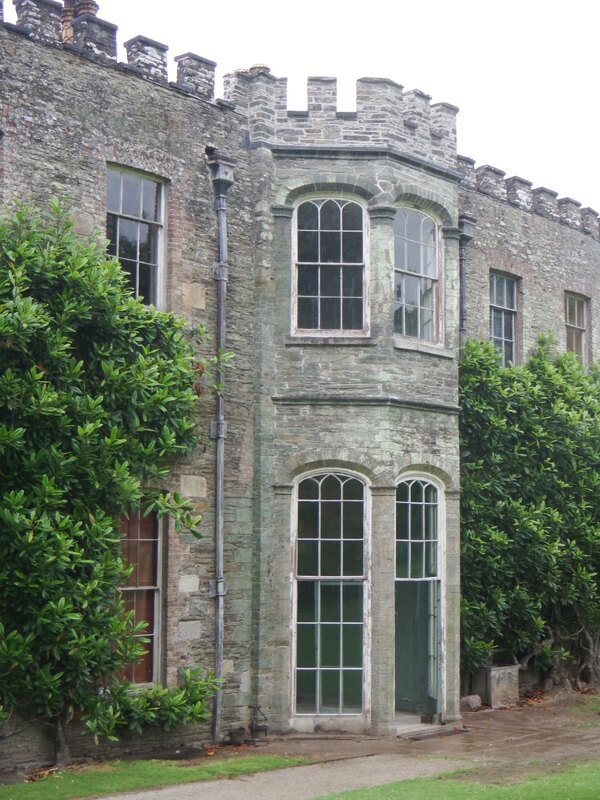 External crack repairs and repointing was carried out.